Dystopia Rising or "DR" is a national network of live action role-play games set in a dystopian future where resources are scarce and participants must make the best of the wastes. Participants create unique characters, costumes, and props to portray survivors trying to make their way in a world where zombies, raiders, and other antagonists are part of life. Dystopia Rising: Colorado is just one of many games across the country in the DR Network. 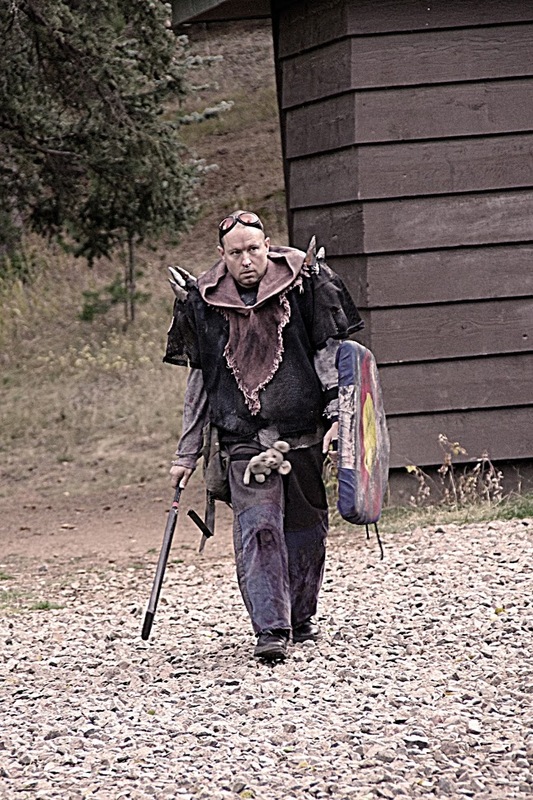 Live Action Role Play Games or "LARPs" are a hobby shared across the world that involve improvisational acting as your character, teambuilding, and in some cases (such as DR) safe systems for combat. Dystopia Rising utilizes nerf guns and safe foam weapons for combat meaning that your weekend will be mentally stimulating as well a physically active! We run at least 8 events per year with our season generally running from April till November. Our playerbase comes from all over Colorado, and we are fortunate enough to enjoy visitors from the rest of the country on a regular basis. We recommend exploring this website first which contains information on costuming as well as information on the various sites we use throughout our season. Then, be sure to download the rulebook (which is free) and join our Facebook group which is very active and always happy to answer questions you might have about the game, what to expect, and you'll catch announcements about our upcoming games.